DATA EAST LOGO. The last incarnation of the company’s logo as used on REVIVE… 〜Resuscitation〜. © DATA EAST CORPORATION. データイースト株式会社 or DATA EAST Corporation was established on the 20th of April ’76 and they were based in the Suginami-Ku district of Tokyo, Japan. 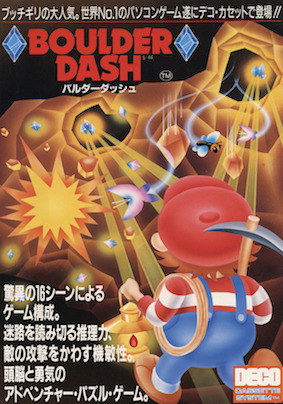 The company had a long-distinguished heritage of developing amusement titles and some of their best-known game’s from their early catalogue included such hits as Burger Time & the seminal Boulder Dash. They were also responsible and best known in the company’s early period for their DECO CASSETTE arcade hardware system. The DECO CASSETTE format was the first amusement hardware to use cassettes as a medium for distributing their titles on. Arguably the most successful period in the company’s history would be the decade from the mid-eighties to the mid-nineties with a range of popular software for both the amusement & home consumer markets. Like many of their contemporaries in the mid-eighties DATA EAST also transitioned into the burgeoning home consumer market converting their successful titles from the arcade to the home environment. Generally, initially these were for the Nintendo Famicom or Nintendo Entertainment System. Soon afterwards the company began development of original titles for the home consumer market. The transition between hardware generations always seems to be a tumultuous period which even the largest development studio can find themselves falling foul off. DATA EAST managed the transition from the 8-Bit era to the 16-Bit era with great success and the company entered arguably the most commercially successful period of their existence. DATA EAST embraced a wide variety of new hardware platforms including SEGA’s Mega Drive system and the company’s popularity grew through titles like the Magical Drop franchise in the amusement sector. Personally, i fondly remember their Mega Drive titles of the period Midnight Resistance, Atomic Runner Chelnov & the much-heralded FMV title Road Avenger or Road Blaster as it was known in its western incarnation. The company also began developing licensed titles based on comic book & film properties which select titles were subsequently ported to the various home formats the company catered for. 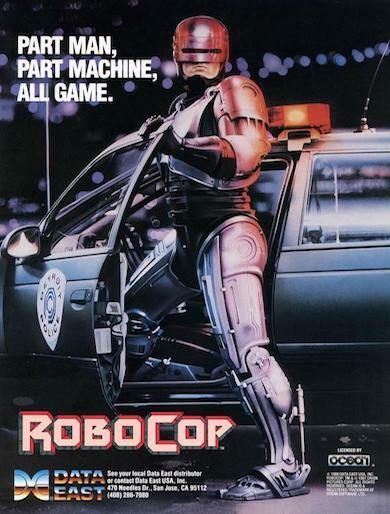 I Personally, believe that the company’s version of ROBOCOP the arcade game is the best representation of the character in a game to this day. The mid-nineties found the company in a similar position as many development studios found themselves at the time with the consumer market rapidly changing with the dominance of 3D titles being seen by many publishers as the future at the expense of traditional 2D graphics. This in turn with changing tastes & rising development costs meant each title needed to perform well at retail as small to mid-studios were at financial risk. The general global decline in the amusement industry combined with the almost complete collapse of the amusement market in the west around the turn of the millennium had the effect that DATA EAST’s output certainly wasn’t as prevalent as in previous generations. By early ’99 DATA EAST operated two distinct divisions which were an information equipment arm that was primarily concerned with telecommunication equipment which unfortunately, i’ve been unable to find much information about. The second was their more well-known software division which also included their home consumer development studios. Surprisingly, even though DATA EAST had abandoned amusement development just the year before in ’98 the home consumer division actually had something of a revival in ’98. 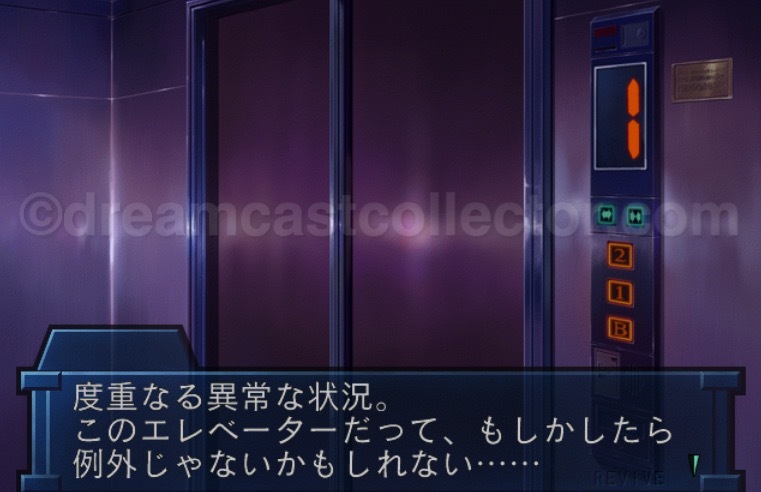 Before the company’s only self-published title for the Dreamcast was confirmed either by name or even platform it was showcased at the Fall Tokyo Game Show ’98 where before the show it was known tentatively as 慟哭 そして… 2 or lament 2. 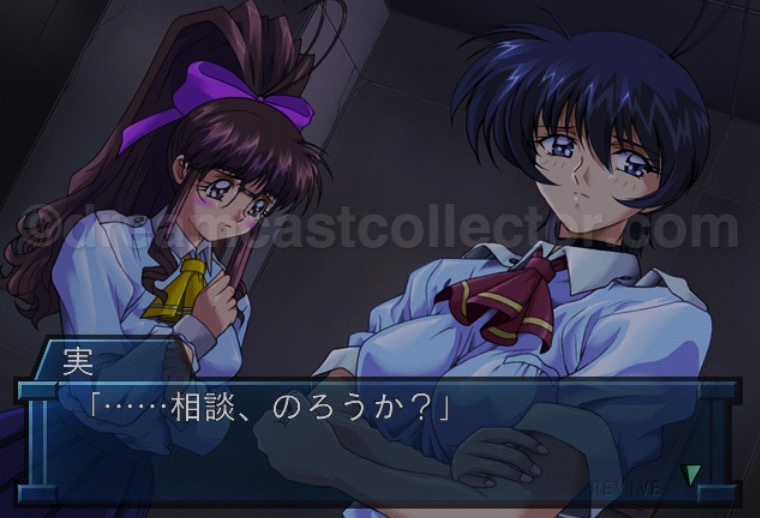 The only confirmed information about the title at the show was that it would employ the same TDS or trap divergent story gameplay mechanic as its predecessor 慟哭 そして… on the SEGA Saturn. At the show it had its final title but the platform was still to be decided and it had a scheduled release date of Summer ’99. At the next Tokyo Game Show in Spring ’99 DATA EAST had six titles on display two of which were intended to be Dreamcast exclusives which were REVIVE… ～蘇生～& GOLF (仮) (tentative). For an unknown reason the golf title that the company showcased at the event would subsequently go unpublished by DATA EAST themselves even through it had a scheduled release for later in that same year. 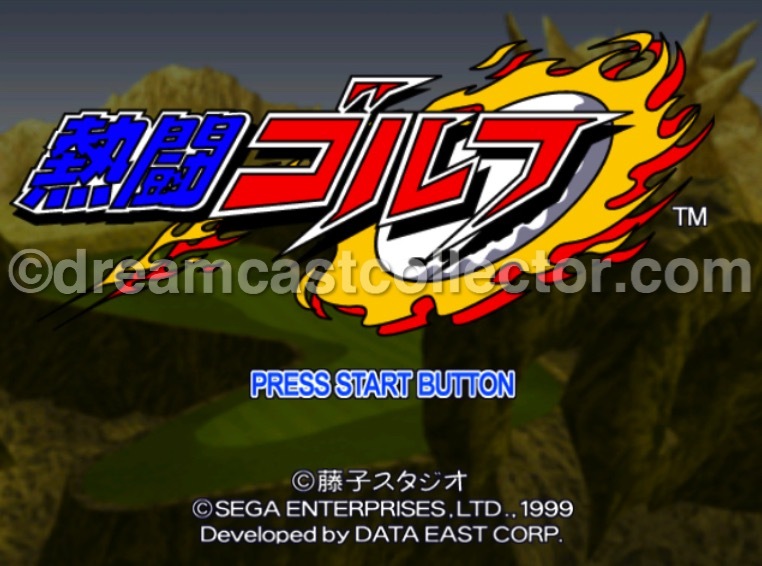 The game subsequently changed its name from GOLF (仮) to Battle Golf when SEGA acquired the title. 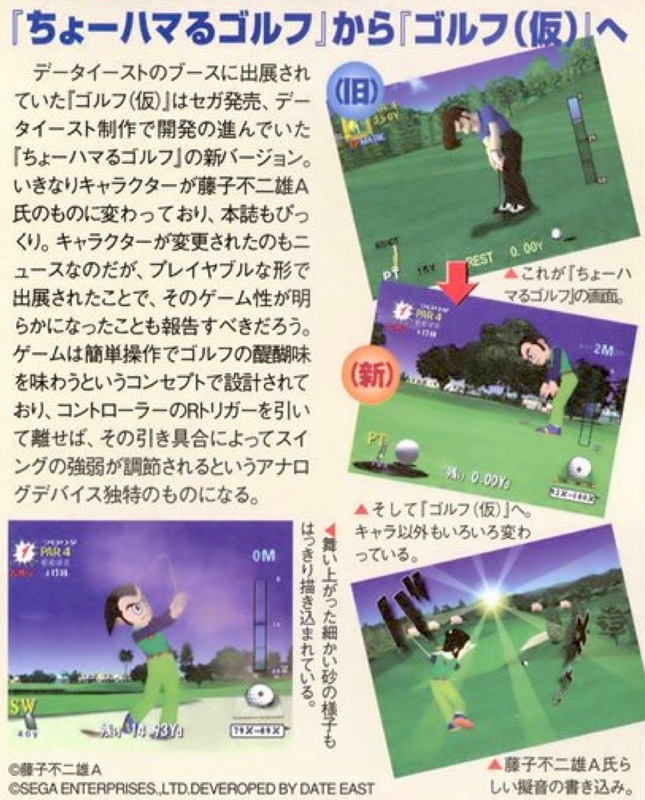 The game finally saw a release through SEGA as 熱闘ゴルフ or Nettou Golf who published it almost a year & an a half later on from its intended original release date on the 19th of October ’00. The game still had a very early SEGA catalogue code of HDR-0006 which lends credence somewhat that it was originally to be released in late ’99. I can think of two possible theories about why the game was seemingly delayed for such a long time. The first was that it was always intended to be published by SEGA and DATA EAST were contracted to do the actual development of the game but it’s strange it wasn’t showcase by SEGA at the TGS event. The second was DATA EAST were in a precarious position in late ’99 as they were trying to reorganise as they were sadly facing bankruptcy & simply weren’t in a position to actually publish it themselves so SEGA acquired the title and published it. DATA EAST were also rather unfortunately embroiled in a fraud scandal at the same time that they were promoting their upcoming Dreamcast title of REVIVE… 〜Resuscitation〜. This involved one of their previous popular intellectual properties which the company had perviously sold off to raise funds. 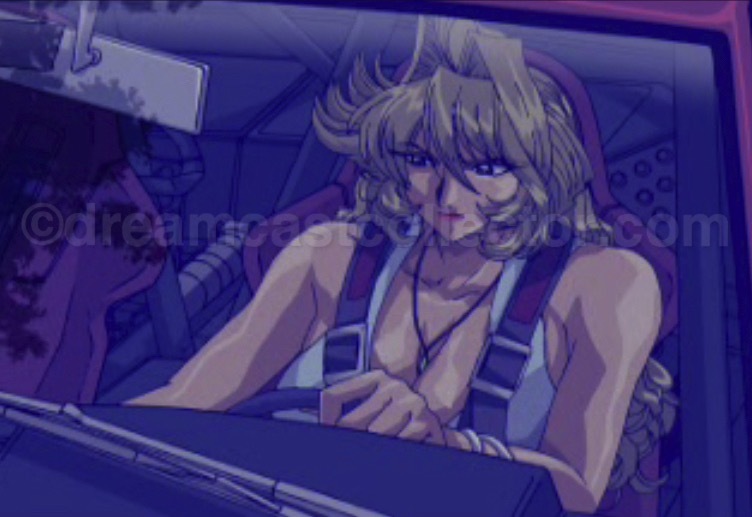 The franchise in question was メタルマックス or Metal Max. The rights of this series had been acquired by ASCII Corporation who were well underway developing their own instalment in the series entitled Metal Max 3 Wild Eyes intended for the Dreamcast. Once i’ve written the ASCII article i’ll link to it here so you can learn more about the proposed Metal Max game by ASCII. Gamespot Japan also covered the ongoing story in-depth with an article which clearly attributes that DATA EAST were innocent of any perceived involvement with either Morimoto Naoki himself or sanctioned him to act on their behalf. The archived Gamespot Japan article is linked to below which provides much more information about the scandal as well as DATA EAST’s rebuttal against the allegations. GAMESPOT/JAPAN Copyright (c) 1999 by Softbank Publishing Inc. All rights reserved. I’ve not been able to ascertain what the outcome of the investigation into Morimoto Naoki or his phantom Metal Max title was. It’s clear DATA EAST were already in a precarious position and protracted legal arguments would do little for the company who were in the midst of trying to restructure to avoid bankruptcy. After REVIVE was revealed at the Spring Tokyo Gameshow ‘99 intending to be published for the Dreamcast the next mention I could uncover about the game was an online article from Gamespot Japan dated the 2nd of August ‘99 about a DATA EAST event held at Messe Sanoh in Akihabara. At this event DATA EAST gave away promotional goods relating to REVIVE as well as the PlayStation’s Magical Drop F title. Also announced at this event was a personal appearance of Chihiro Yonekura who was the artist who performed REVIVE’s main theme song to be held at another DATA EAST event which was scheduled to be held at the same venue on the 29th of August ‘99. GAMESPOT /JAPAN] Copyright (c) 1999 by Softbank Publishing Inc. All rights reserved. 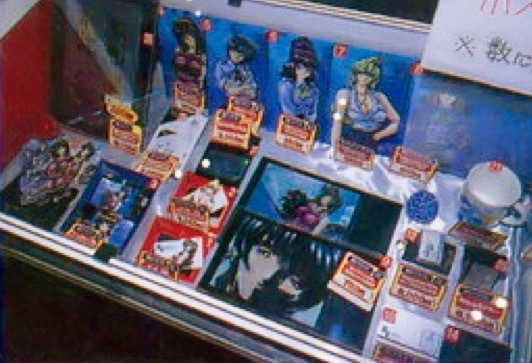 As previously mentioned, the next event was the Chihiro Yonekura meet and great where items from the Toyko Game Show Fall ’99 were made available to DATA EAST’s fan’s at Messe Sanoh in Akihabara. Gamespot Japan once again covered the event and helpfully listed the items available relating to REVIVE… ~ Resuscitation ~. The promotional goods included five different types of underlay, Two sets of clear files, Two sets of Telephone cards & a business card case as well as other items. You’ll find the archived Gamespot Japan article linked to below. GAMESPOT/JAPAN Copyright (c) 1999 by Softbank Publishing Inc. All rights reserved. The company changed focus by developing renewable energy supplies and selling off most of their intellectual rights to raise capital to return to profit. Unfortunately, for DATA EAST on the 25th of June ’03 the company was declared bankrupt at the Tokyo District Court. Below is an archived article by Gamespot which covers DATA EAST’s unfortunate bankruptcy. ©2018 CBS Interactive Inc All Rights Reserved. Currently the majority of DATA EAST’s catalogue & intellectual rights are owned by a Japanese company called G-MODE Corporation who are actively licensing DATA EAST’s titles to interested parties. I assume that they are reissuing titles for various download services in Japan if not the rest of the world. They currently grant Retro-Bit a license to publish DATA EAST’s titles which they do on reproduction multi carts for Nintendo’s legacy systems like the NES & SNES. Not all of DATA EAST’s previous titles have their rights held by G-MODE however with the licensed titles rights having since reverted back to their original license holders. I have reached out to Retro-Bit in the hope that they could help clarify the rights that they have for DATA EAST’s properties but unfortunately i’ve received no response from them. 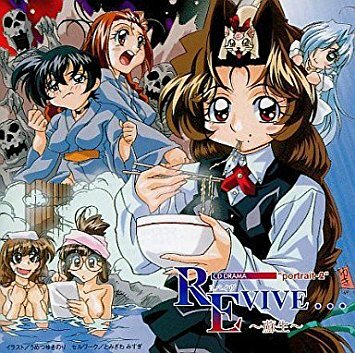 REVIVE… 〜蘇生〜 was only released in a double jewel case there isn’t a single jewel case edition nor is the released version designated as a limited edition. If you are considering purchasing a used copy of the game there are a number of extras that were included with its original release. These included a mini drama CD, premium art book & a memorial ticket which should be included for it to be considered complete. Thankfully, REVIVE… 〜蘇生〜is still generally priced quite reasonable and widely available on the secondary market. On the date of REVIVE… 〜Resuscitation’s〜 release Gamespot Japan covered the games release with an article which covered the games reception in Akihabara. The article reported there was a queue of around seventy people waiting outside a retailer offering pre-order goods which while not named was probably Messe Sanoh. The report helpfully confirms all the various pre-order bonuses that were available at various retailers for the game. This archived Gamespot article also solves a mystery that i’ve struggled to resolve which relates to a slip-cover variant of the game and how it was distributed. The exclusive sleeve was a retailer pre-order bonus which sadly isn’t specifically named in the article but in all likelihood was probably either Messe Sanoh or Softmap. You’ll find the archived Gamespot article linked to below. (C) 1999 DATA EAST CORP, (C) Yukinoru Usomi / GAMESPOT/JAPAN Copyright (c) 1999 by Softback Publishing. All rights reserved. DATA EAST really made sure their Dreamcast exclusive title had the production values to match the games ambition from the games audio-visual presentation through to the branching story paths which add replay value. Even when REVIVE… 〜蘇生〜 was released in ’99 the popularity of the point & click genre was definitely on the decline which its why i found it so surprising to find an example of the genre on the Dreamcast and such a high-quality example at that. 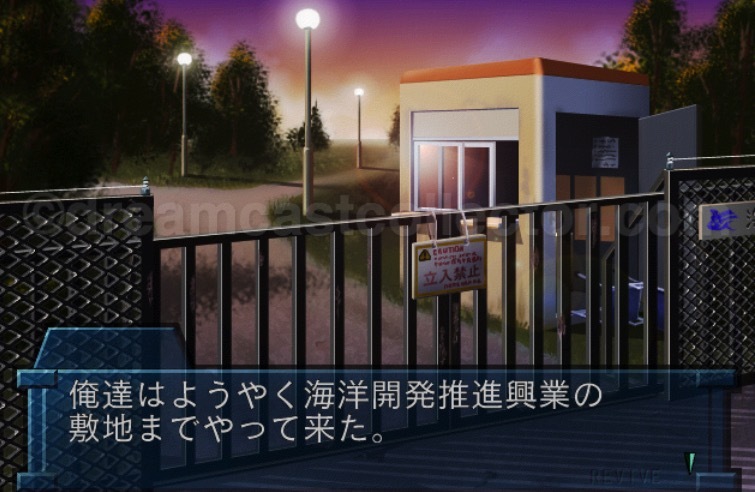 REVIVE… 〜蘇生〜 while essentially a point & click adventure the game also employs DATA EAST’s Trap Divergent Story mechanic which allows you to advance the story in different ways due to the choices you make rather than the normal linear choices usually found in similar titles. 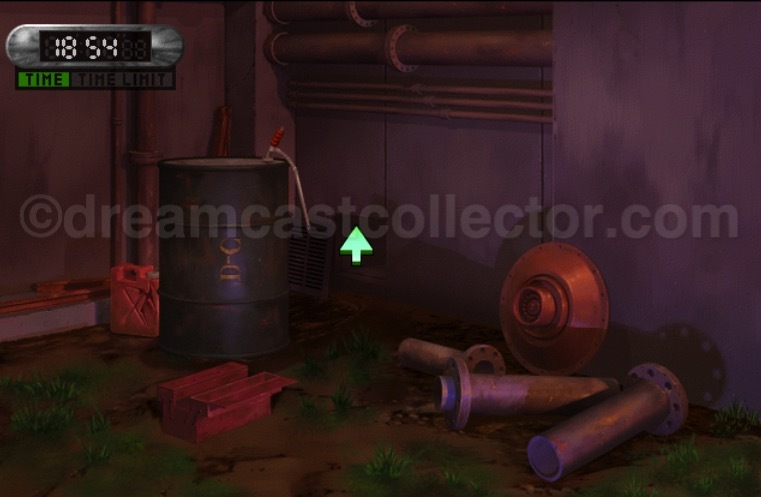 Also, with the game featuring traditional hand-drawn graphics it allowed much more detail in the actual environments and cast of characters and probably allowed a greater degree of interaction than if the game was developed as a 3D title. 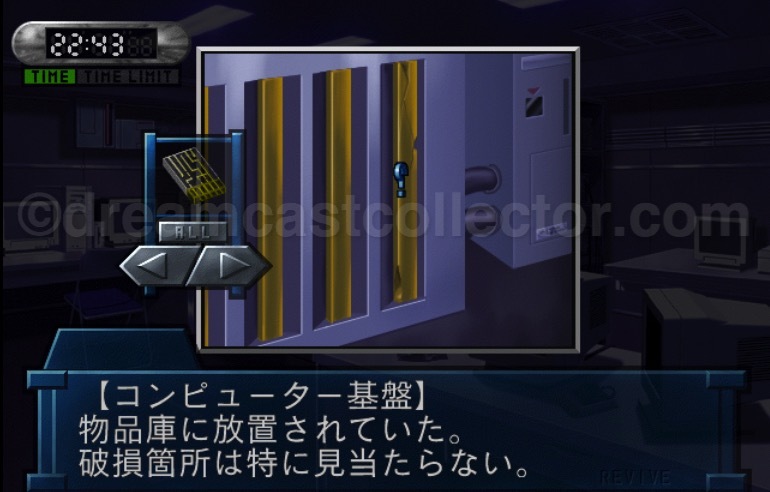 As i’ve mentioned REVIVE… 〜蘇生〜 uses DATA EAST’s TDS system which equates to time events which are designed to create a sense of urgency during your investigation by giving you a limited time to solve the respective puzzles that use this system. Personally, in my experience the puzzles that use the TRAP DIVERGENT SYSTEM (TDS) are self- contained and relatively straightforward. Despite the best efforts of the audio & visual effects when they occur which are designed to create a sense of impeding panic with the ever-decreasing timer the time constraints are quite generous. While failure can result in a game over i’ve never experienced this outcome myself and some logical thinking will see you advancing without any problems. The story of REVIVE… 〜蘇生〜 is your stepsister seemingly vanished while visiting the Marine research institute after she travelled there due to a mysterious letter from her supposedly deceased mother. You’ve had no contact and fearing the worst you go to find out what’s happened to her. When you arrive, you find that the Marine research institute is completely sealed from the outside world with all the shutters down and no obvious way into the facility. This leads to the first puzzle which is how to actually get inside fortunately everything you need is conveniently located nearby and soon you’ll gain access. It’s quite hard to discuss the story in general as i don’t want to spoil it for those who haven’t yet played the game and with the amount of optional choices leading to different encounters with characters its probably best left to individual choice. I played REVIVE… 〜蘇生〜 without knowing anything about the game and i suggest that’s the best way to experience the games story. As you begin your adventure you explore the research institute by way of a 3D representation of the facility which when entering the rooms & locations switches to beautiful hand-drawn environments. This design choice has its detractors which if i’m being perfectly honest is quite disingenuous as it simply serves to allow you to quickly travel between locations. While i’m speculating i assume a first-person viewpoint would’ve required a different engine to allow its inclusion which probably wouldn’t have looked as good as the rest of the games 2D elements. It’s also quite possible that DATA EAST were mindful of the general decline of 2D graphics in comparison to the more commercially viable 3D titles and the polygonal elements were a nod to appeal to a wider market. One thing is that this 3D representation of the facility allows fast movement between locales which is basically its only function which it accomplishes perfectly. 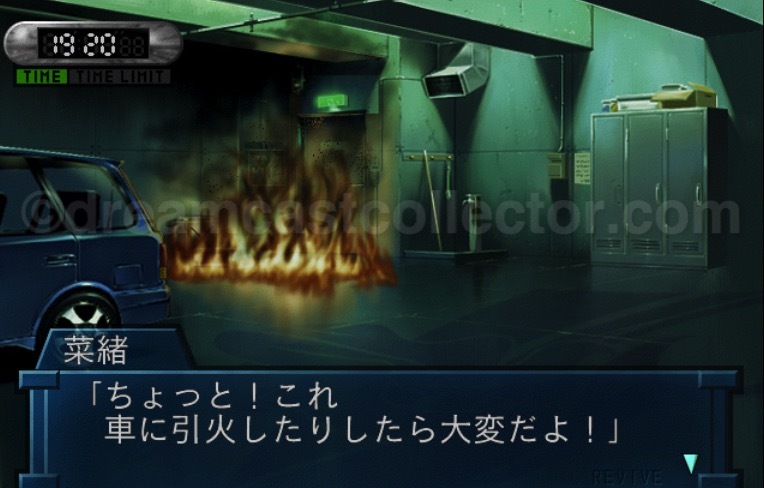 REVIVE… 〜Resuscitation〜 is very much a classic point & click genre title which outside the obvious language barrier only really has a few flaws which are generally inherent to the genre as a whole. How much they affect your enjoyment of the game is honestly down to your personal experience with point and click adventure games in general. You don’t have to be pixel perfect when interacting with an object but have to be touching it as it were also in rare cases there are two objects in one location as happened to me i had originally overlooked the cat food as i’d collected the milk from the fridge and simply missed the other item. Also, a well-worn trope of the genre is backtracking which the game makes you do constantly. 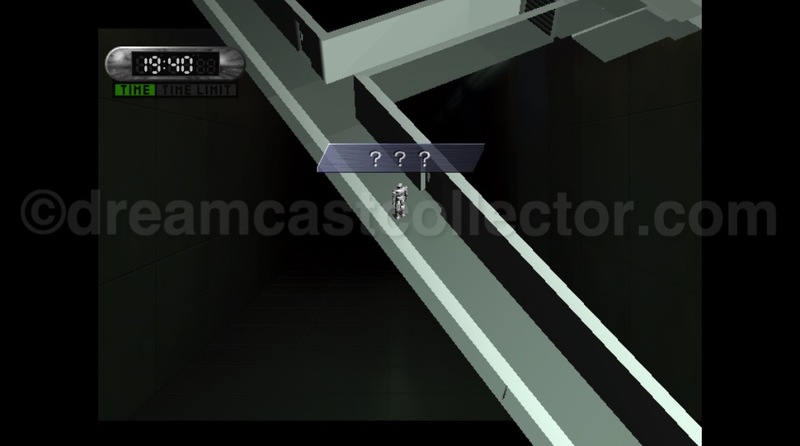 An extreme example is after finally solving the puzzle on the third floor in the server room and it’s straight back to the basement garage where you started the adventure at the beginning of the game to advance the story. The game features quite a bit of this which personally i didn’t mind so much but i can definitely see if you have little or no experience with this type of game it has the potential to become frustrating. The only other problem i can see is sometimes background objects aren’t immediately noticeable as important so seeing someone’s name on their desk doesn’t sink in that it’s a vital clue which can lead to some confusion. Most of the main story puzzles are logical and don’t present many issues but some of the items & objects have strange leaps of logic while others really don’t make any sense and its simply trial & error to work out what their used for. I suppose this is somewhat compounded by the fact outside of the main items required to actually complete the game there are ancillary items which you can choose to use in certain situations which effect your interactions with the games cast of characters. 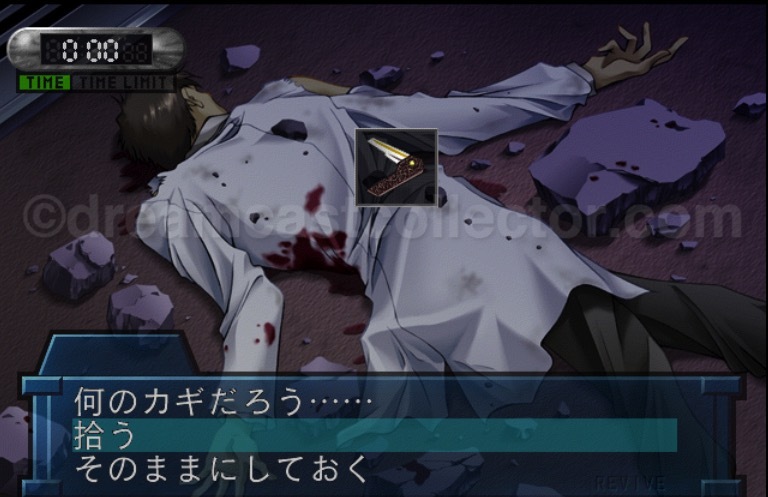 DATA EAST did innovate with their point & click title REVIVE… 〜Resuscitation〜 and the game featured multiple solutions to certain puzzles throughout the game this allows multiple branching paths in the games story which relate to the girls and others you encounter in your investigation. As i’ve mentioned the game used DATA EAST’s patented TRAP DIVERGENT SYSTEM is employed which effectively means you’re given a time limit in real-time with which to complete the puzzle which failure generally results in death & game over. Unlike other examples of the genre where you have no impact on the story your interactions with the characters have consequences and you’ll soon uncover that danger & death are a regular occurrence inside the marine research institute. As you’d expect all the items you collect are stored in your inventory and you simply move the chosen item or object with what you want to interact with. The game has a few variations with the TDS puzzles being self-contained. 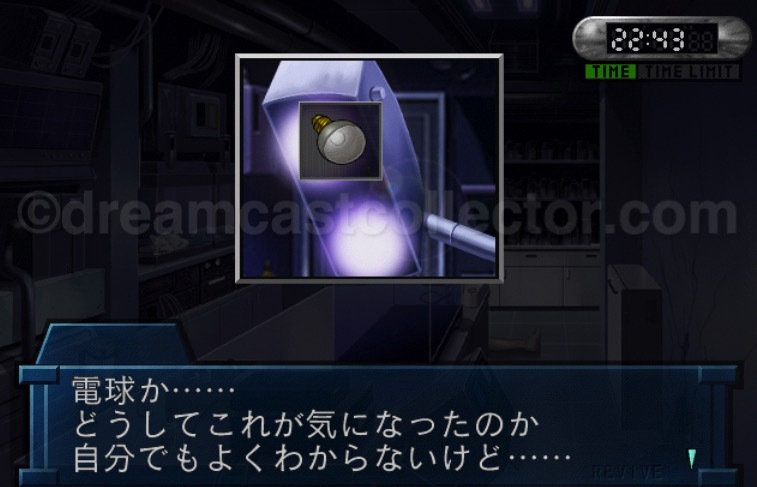 Other puzzles have objects that either relate to items that can be used in conjunction with certain characters or situations or are needed for certain puzzles which will in turn will alter the story depending on your choices. Most of the items have a somewhat logical placement with regards to their function but some are trial & error like having to use a harpoon gun to open a door which seems a curious choice. The various branching pathways in the game outside the obvious dialogue choices aren’t always immediately apparent and i’ve used objects in situations where it would’ve been better for the story to have waited to use it elsewhere. You’re not punished for this as this simply changes the various interactions you have with the people in the research center which leads to an impressive twenty different endings. Personally, i enjoyed my time with REVIVE… 〜Resuscitation〜 and i found it somewhat refreshing to play a game of this genre after such a long time. I have started another play-through not to completion but just to experience some of the situations with regards to the items & objects to see how it deviated from my first play-through. I’ve only logged a few hours on this second play through but surprisingly the multiple solutions while leading so far to the same result do feature new objects & elements. By deliberately focusing on changing everything from my first play-through as much as possible it’s clear some real thought was put into REVIVE… 〜Resuscitation’s〜 various puzzles. Honestly while an enjoyable game i can’t see myself trying to unlock all the endings in the game it seems a near impossible task only for the most committed players and would result in a serious amount of time & effort for those that attempted such an endeavour. Personally, i enjoyed my time with REVIVE.. 〜Resuscitation〜 as it’s a long-overlooked genre in my opinion. I had thought about picking up its prequel 慟哭 そして… which apart from using the same (TDS) i was completely unfamiliar with. Unbeknownst to me 慟哭 そして… has actually been remastered & released in an enhanced version for both the SONY PlayStation 4 & PlayStation VITA systems. Unfortunately, both formats were either out of stock or available at an inflated price a downloadable version is available through the PlayStation Network but the cost is just below the physical versions price point so i’ll wait to find a copy on the PS4. Below is the official PlayStation Network site for 慟哭 そして… which provides information about the different versions of the game. ©el dia / 横田守 ©2018 Sony Interactive Entertainment Inc. All Rights Reserved. As i’ve previously mentioned DATA EAST did develop what would eventually become 熱闘ゴルフ or Nettou Golf and by researching i have managed to uncover the reason why the game was delayed for so long. It appears that the main reason the game delayed from its prospective release date was received a major redesign with a change in main character design by 藤子 不二雄Ⓐ. The text and importantly images in the above article come from an article in Dreamcast Press magazine which states the reason behind the strange situation the game found itself in. © 藤子 不二雄Ⓐ Copyright SEGA ENTERPRISES, LTD (C) Mainichi Communications Inc. 1999, All Rights Reserved. The gameplay mechanics were also changed to incorporate easier operation which would explain why it took so long to be released. One thing i still have been unable to find out is why DATA EAST were removed from the games title screen and credits on the released version considering they did develop the basis for the game. The above picture is from an article by Dreamcast Press which outlines the changes that happened between the versions of the game and also includes a look at the changes to the character designs. Surprisingly the collaboration with SEGA didn’t end and DATA EAST were involved with the Dreamcast’s conversion of ゾンビリベンジ or Zombie Revenge from the NAOMI original. At first i thought the company might have been involved on the NAOMI version of the game but they didn’t have any copyright information on the cartridge itself. When i played through the amusement version of the game its end credit roll doesn’t list DATA EAST in any capacity. 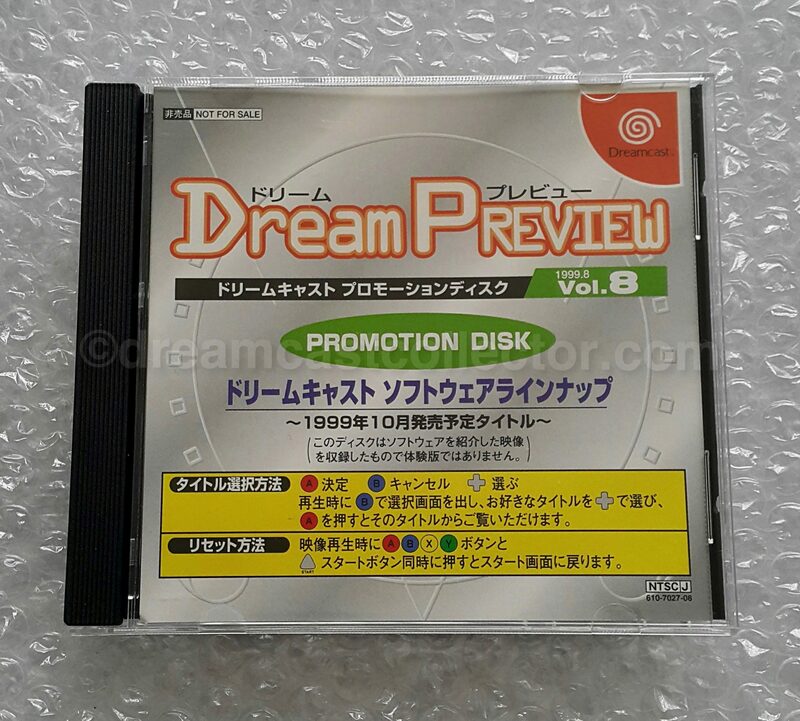 The Dreamcast version however states Presented by SEGA (c) SEGA ENTERPRISISES, LTD 1999 IN COOPERATION WITH DATA EAST, CORP. SEGA also don’t credit the company or any copyright information for DATA EAST on the game’s entry on their official Dreamcast catalogue. While it’s possible i’ve missed it DATA EAST didn’t mention their involvement with the game on their list of developed works or announce that they were involved with the porting of the game to the Dreamcast. Their involvement in the Dreamcast version of Zombie Revenge isn’t particularly well known simply as most people generally skip the credits on their games. 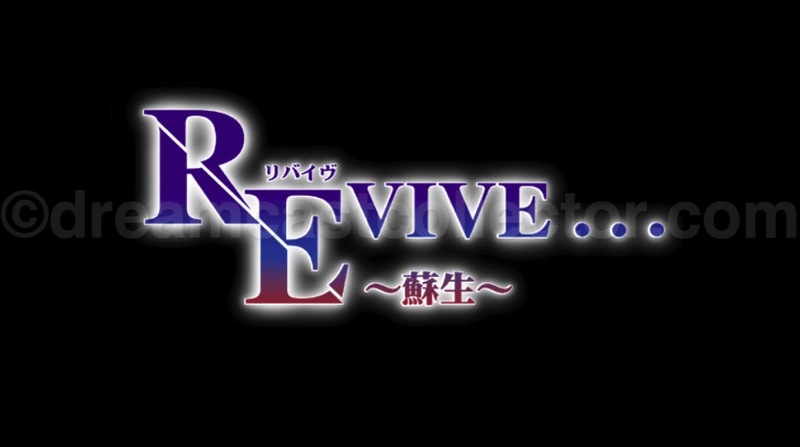 It’s surprising though as since Zombie Revenge came out after REVIVE… 〜蘇生〜 it could well be the final title that the company carried out any development work on. If this is actually the case it’s a somewhat undistinguished end for a company like DATA EAST which always developed titles which generally mimicked the popular titles of the time certainly for their arcade output. Thankfully unlike many of their contemporaries who much like DATA EAST themselves have become defunct in the intervening two decades since their Dreamcast output the majority of DATA EAST’s titles are still available for people to experience. This is by modern reissues for legacy systems or on digital storefronts by G-MODE/Retro-Bit or physical media by RED FLAGSHIP. Considering the fact DATA EAST only published one title on the Dreamcast there is a wealth of official merchandise available for it which would’ve been quite a challenge to amass when the game was released. It is realistically an impossible endeavour to try to collect all the official goods released in support of REVIVE… 〜Resuscitation〜 due to the amount of Not for Sale items released in support of the game. As for any individual Not for Sale discs relating to the game i’m currently unaware of any existing. There’s no content relating to the game on the Dreamcast Express discs i’m not sure theres any on the Dreamcast Magazine but i’ll need to catalogue their respective contents. The Dream Preview Vol. 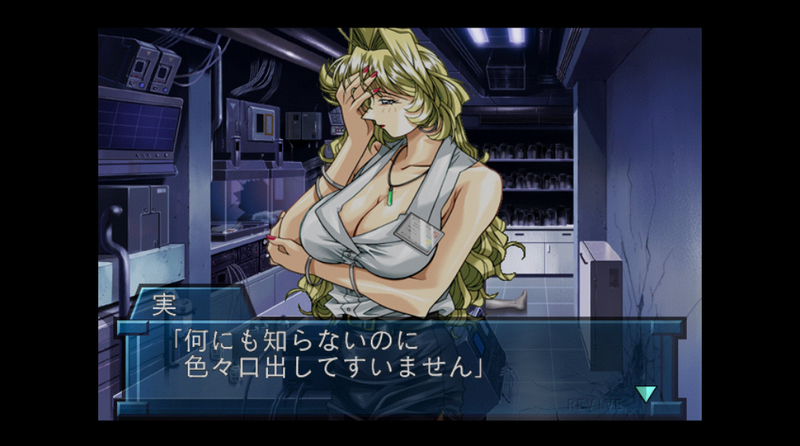 8 非売品 disc has content relating to the game. My personal copy of Dream Preview Vol. 8 with content for REVIVE… 〜Resuscitation〜 is pictured below. While i can’t claim to have an exhaustive knowledge of all the goods released in support of REVIVE… 〜Resuscitation〜 but i’ll list the ones i know off below. The first was a CD single which was the vocal theme tune which was sung by Chihiro Yonekura and was entitled FEEL ME. The CD single has three tracks FEEL ME, TRUTH & FEEL ME (Off Vocal Version). 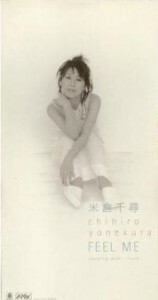 Linked to below is Chihiro Yonekura’s discography listing for the single. Copyrights © HIGHWAY STAR All Rights Reserved. The CD single was released on the 16th of September ’99 and it retailed for ¥1,020 its catalogue code is KIDS-423. 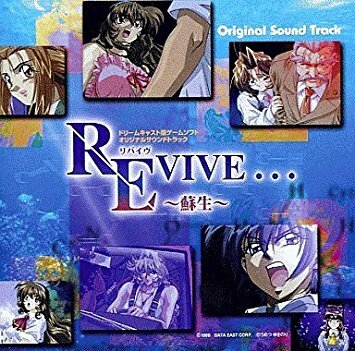 The publisher was King Record Co., Ltd.
REVIVE… 〜Resuscitation〜 also has an original soundtrack available this was a thirty-two track CD on one disc. Once again like the previous CD single this was released by King Record Co., Ltd which published it on the 26th of November ’99. The REVIVE… 〜Resuscitation〜 Original Sound Track’s catalogue code is KICA-1227. The game also has two drama CD’s リバイヴ…～蘇生～ CDドラマ “portrait-1“& リバイヴ…～蘇生～ CDドラマ “portrait-2”. Portrait-1 contains four scenes & Portrait-2 also has four scenes. リバイヴ…～蘇生～ CDドラマ “portrait-2” was released on the 23rd of December ’99 again by King Record Co., Ltd. It retailed at the same price point of ¥3059 as the previous “portrait-1” CD. REVIVE… 〜Resuscitation〜 also has at least three known books relating to the game. The first is Revive…～蘇生～完全攻略ガイド or REVIVE… ~ Resuscitation ~ Complete Capture Guide. This guide book has some confusion about the date it was released so i’ll refer to its official entry on KADOKAWA Books official site where it states it was released on the 28th of October ’99 & it retailed for ¥1,200. Its ISBN code is 9784840213134. The games entry on KADOKAWA Books official site is linked to below. 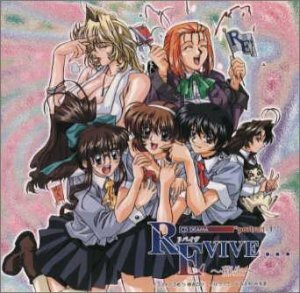 The second guide to the game i could find was REVIVE…―蘇生 パーフェクトガイド (ドリマガBOOKS) or REVIVE … – Revival Perfect Guide (Dorimaga BOOKS) which was released on the 1st of October ’99. Its ISBN codes are ISBN-13: 9784797311570 ISBN-10: 4797311576. There is a wealth of other products such as telephone cards, posters, clear files & posters for REVIVE… 〜Resuscitation〜 which outside of the exclusive pre-order sleeve i don’t currently own any other merchandise for the game. It’s as i’ve mentioned it’s such a broad range with no official catalogue of merchandise to consult that collecting everything relating to the game is simply beyond my current scope. Of course if i do happen to collect any other official REVIVE… 〜Resuscitation〜 products i’ll include them in this section of the article. 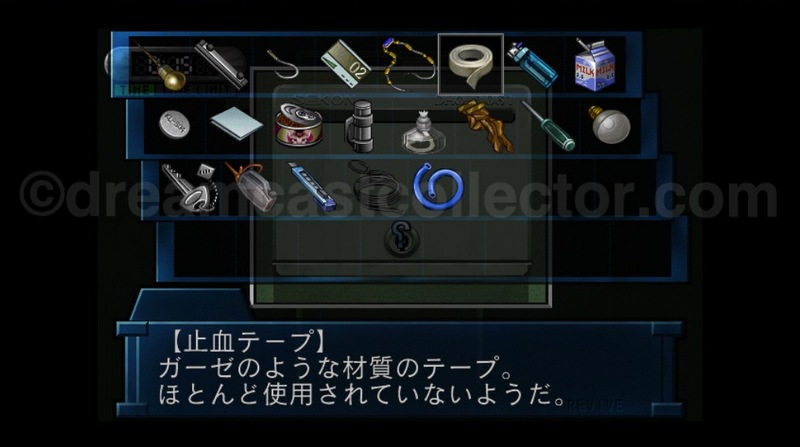 Dreamcast Magazine covered the various items available that Data East produced in support of the game. Even this doesn’t showcase all the items which makes trying to amass all the products a challenging prospect. ©1999 DATA EAST CORP.©1999 Softbank Publishing. Inc All Rights Reserved.